Most of us remember eating peanut butter and jelly sandwiches as kids. These days nut butters have grown in popularity for a variety of reasons. We can probably all agree that the only ingredient nut butter should have is the nut itself, unless you intentionally add salt, oil, or your own flavor. Some products have added sugars, hydrogenated oils, other additives and flavorings. It’s those additives and flavorings that can get unhealthy, but we'll save that for another blog. They simply don’t know the ingredients in nut butters they are buying. They don’t realize how simple and cost effective it is to make their own. They don’t have the right tools at home to make it easy. Lets face it, we are busy and don’t have tons of time. So things need to be simple, fast and easy. Nut butters are all of that and a healthy snack! You can make nut butter in batches to snack on for a week. It can turn an apple or piece of celery into a delicious and healthy snack, or use it as a spread or for making homemade candies. Use it in baking. 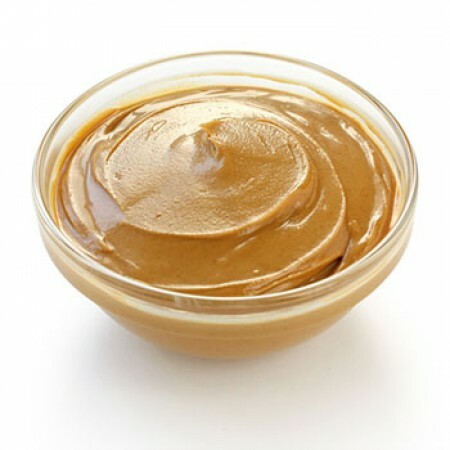 If you are vegetarian, vegan or raw foodist, then chances are you already have a good amount of nut butter in your diet. At your local grocery store it is common to see almond butter right next to the peanut butter. If you venture to a local natural food market they may have more options such as almond butter, cashew butter, walnut butter, mixed nut butter, hazelnut butter, sunflower seed butter, pumpkin seed butter and other creative nut butter blends with Eatnuts.com Dried Fruits, honey, flaxseeds, and cacao. The downside is these alternative nut butter types can be pricey. A few years back I remember buying a jar of almond butter for almost $22! And yes, if you are wondering, I did question my sanity. Simply purchase some nuts today (and your favorite nut at that) and turn them into homemade nut butter without adding a bunch of chemicals, preservatives, additives, and words that you can’t pronounce. How do you make homemade nut butters? Now days you can find less expensive nut butters but they sometimes come with additives and preservatives, sugars, etc. To make fresh homemade nut butter you need a Vitamix or a super high powered blender/food processor. We highly recommend the Vitamix for the creamiest and best textures. Its so simple, just add your ingredients 2 to 3 cups at a time. If you want your nut butter to be creamier you might add a little oil. Until you find the perfect blend for your palette, I like to use coconut oil or flax seed oil for health reasons. You can just flax seed in nut butter as well. You can also use the oil of the nut you are using, for example, use almond oil when making almond butter. You only need about a teaspoon. Another question I hear is whether to use raw nuts or roasted nuts in nut butter. This is your own choice. Some go as far as to soak, sprout, then dehydrate nuts for nut butter. If you use roasted nuts or you roast the nuts on a baking sheet (10-15 minutes), you will get a creamier texture and a deeper flavor as it allows the oils to release easier. Buy nuts from Eatnuts.com or your favorite nut store. Pick the nut of your choice and decide if you are making raw or roasted nut butter. Allocate time to soak, sprout and dehydrate your nuts if desired. Process on high, if using a Vitamix use the tamper to push the nuts down into the blade on high until you get the texture you are seeking. This could take 3-6 minutes, a little consistence and patience. Make sure to store your nut butter in an air tight container and in your fridge, for longer freshness especially if you use RAW nuts. Which are the Healthiest Nut Butters?